Owlers of the Year and Viral Marketing Campaigns: Harnessing the "Right Now"
Search Marketing » Bruce Clay, Inc. Blog » Owlers of the Year and Viral Marketing Campaigns: Harnessing the "Right Now"
One afternoon last summer, a couple work mates and I jumped in on the owling meme. One of the SEO analysts here was following viral stuff on the Web (thx, Matt! ), and we thought it would be “cute” to have our own version of the meme. We took the picture, posted it to Flickr and Facebook, and forgot about it. This morning, we awoke to a video clip from The Webby Awards this week, only to find the very picture we casually took that afternoon was used in a tribute to memes at the awards show. Our picture – out of all the thousands of other pictures of people owling – was chosen to rep the meme. I don’t know how or why, but it’s kinda rad. It’s hard to even write this post with a straight face, because well, it’s owling. It’s not like we won an award for some viral marketing strategy or even won an award for that matter. But, we still think it’s pretty darn cool that a little concept we had one afternoon stood out enough to be chosen and featured at The Webby Awards. It got me thinking about the power of capitalizing on the “right now,” and how brands can use a little monitoring and creativity to leverage that for their marketing campaigns. It also reinforced something that’s been on my mind a lot lately: the best ideas often come from spontaneity and inspiration. And if there are too many roadblocks in the way or not enough support for creativity, sometimes the best ideas go unexplored (more on how that relates later). In this post, we’ll explore ways that businesses can stay on top of viral trends, look at how one company capitalized on memes for its marketing, and why harnessing creativity when it’s sparked is so important. The site KnowYourMeme.com stays on top of rising memes, puts in the research to confirm their status and even reports when they’re dead. Each month, the site gives a recap of memes and often pairs it with data like search traffic. If you want to find the origins of memes, like the owling meme, that’s there, too. Use Google Insights for Search. Reading ebooks on viral marketing. In the world of viral marketing, there are trendsetters and opportunists. You either start the fad or you capitalize on its popularity for your own brand. When it comes to companies using things like memes to their advantage, the Schick brand struck when the iron was hot. 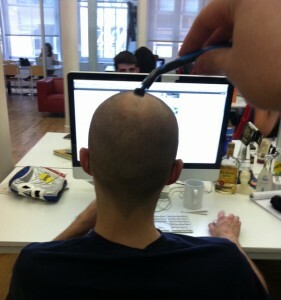 The Schick campaign consisted of launching a brand-specific meme to engage the community online. 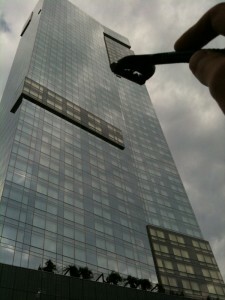 “Razorbombing” catapulted the Schick brand into the viral marketing world, as meme enthusiasts submitted their best Razorbomb image using a Schick razor. Viral content is a funny beast. Either the content goes wild all on its own because it’s a great idea in the right place at the right time, or it’s a well-planned, well-researched idea that involves understanding a target community and reaching them using very “right now” tactics – those that speak to them. In Schick’s case, the Razorbombing campaign was a strategic initiative by a division of Edelman. The campaign’s objective was to refresh a veteran brand (Schick) in order to connect with a specific audience to market the Xtreme3 razor. The results? Internet searches for Xtreme3 grew more than 100 percent, total media impressions for the campaign were around 34 million, the brand garnered more than 900 new Twitter followers, and much more. When you think about the concepts that people want to spread on the Web, there’s a common theme: They’re fun, creative, they “speak” to us. This, I believe, is a key ingredient in any viral content. 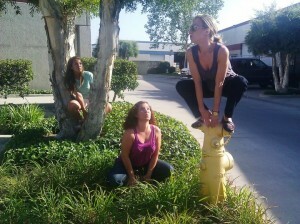 That picture we took that afternoon – the owling picture — almost didn’t happen. At first we had around 15 people; we were on a mission to stage a “mass owling.” We talked about it all morning, attempted it a couple times throughout the day, but couldn’t seem to get everyone on the same page or schedule. By the end of the day, we were sick of this whole owling idea. For crying out loud, it was just a picture, you think it would be simple. At the end of the day, there were only three remaining who were dedicated to creating that silly image. We weren’t going to let circumstances steal our thunder. Before we drove home that afternoon, we gathered and snapped the pic. The point is, when you have an idea, no matter how insignificant it seems, if you’re excited about it, do it. Just do it. How many of you have ignored a spark you’ve had because you just don’t think it’s worth exploring, or you’re not sure how to make it come to fruition? On the same token, employers: how many of your employees every day have creative ideas that go unnoticed because they don’t have the support to explore them? The sad truth is, your business could be imprisoning creativity in the workplace. If you want your brand to stand out, if you want to have the potential to have ideas that get noticed, you need to build an environment that fosters creativity and supports new ideas. If it feels too “outside of the box,” if it’s out of your comfort zone – good. That feeling is probably the beginnings of something great. I couldn’t allude to it in my article earlier this week on SEJ, else I give away the fact that my article was pure click-bait based on a timely industry topic, however I want to thank you for inspiring me to jump on that article. By embedding a link in it to one of my twitpic photos, and baiting the article to motivate people to click that link, I got a record number of twitpic views – over 1800 and counting so far. My previous biggest viewed pic had been a few hundred views, and most only get between 100 and 200. As Charlie Sheen said it best: WINNING! Definitely a funny highlight, never thought I’d be a part of a viral marketing bit I never knew I’d be a part of.